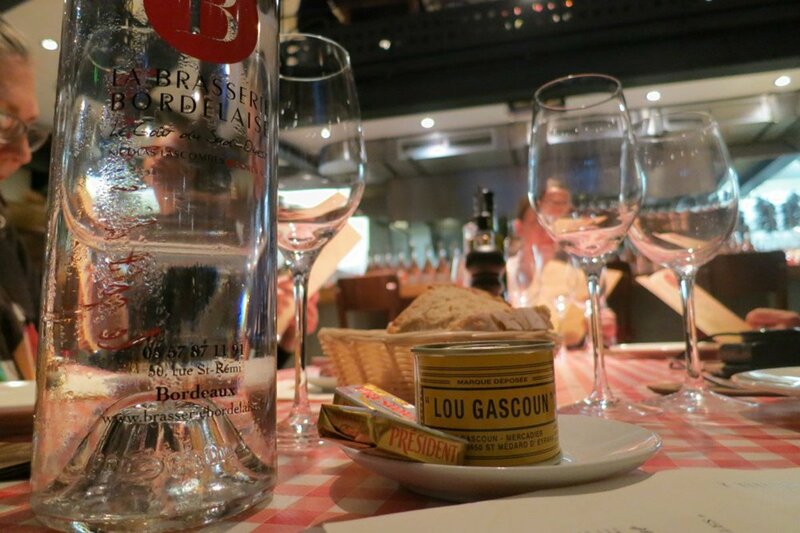 Pate in La Brasserie Bordelaise. Photos by Lanee Lee. The good news: You're traveling to Bordeaux, the heart of French wine country. The bad news: You're a little intimidated by all those centuries of oenophilic knowledge. This handy guide will have you feeling like a master sommelier. BORDEAUX, France – Planning that idyllic trip through the French countryside? Bordeaux's vast number of famous wine appellations, such as Saint Emilion, Pomerol, Pauillac, and Sauternes, make it a bucket list destination for wine-lovers. Perhaps you imagine staying in a 17th-century chateau, sipping on first growth wines, and dining alfresco overlooking the vineyards? Not so fast. There are a few things you need to know before you go. Because wine country in France has its own set of rules. The center of the city. Most wineries do not have dedicated tasting rooms like those you'll find in Napa or Australia. Appointments are mandatory or you risk showing up to find no one at home, especially if you drop in between noon and 2 p.m. when the whole country breaks for lunch or on the weekends when they're shuttered completely. First growth or premier crus are some of the world's most coveted and costly wines — Chateau Lafite Rothschild, Chateau Latour, Chateau Haut Brion — and the majority of first growth wineries are closed to the public. Best to hire a guide with connections in order to get access to those esteemed wineries. I highly recommend Alexander Hall's Bespoke Bordeaux tours. Most wineries are spread out across distances, which is just one more reason to hire a guide. Being the designated driver in Bordeaux wine country is so relou as they say in French. Annoying. 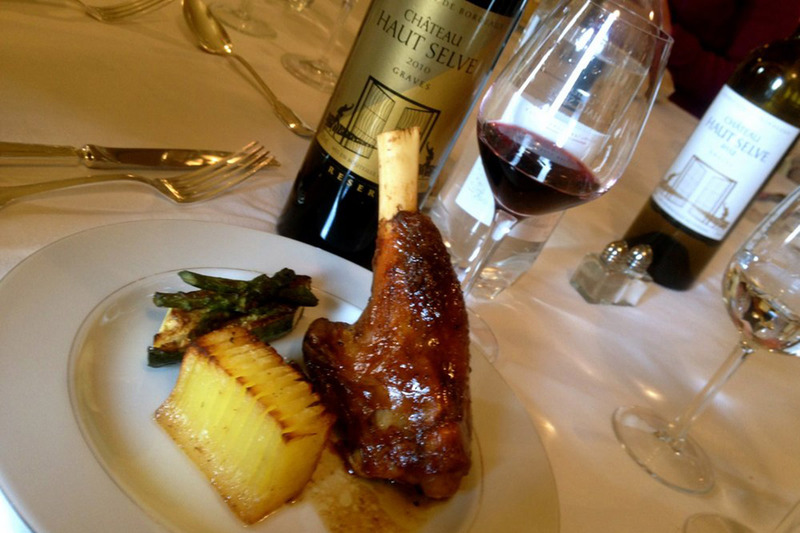 Dinner at Château Haut Selve. White wine from Château Doisy-Daëne. The grounds are gorgeously groomed; home to some of the best dry white wines in Graves. Their white and red wines are stellar, and the winery looks like a barn-turned-modern museum. Hot tip: Try the family Armagnac, too. In the heart of the Entre-Deux-Mer wine region, Château Sainte-Marie is an intimate family affair. 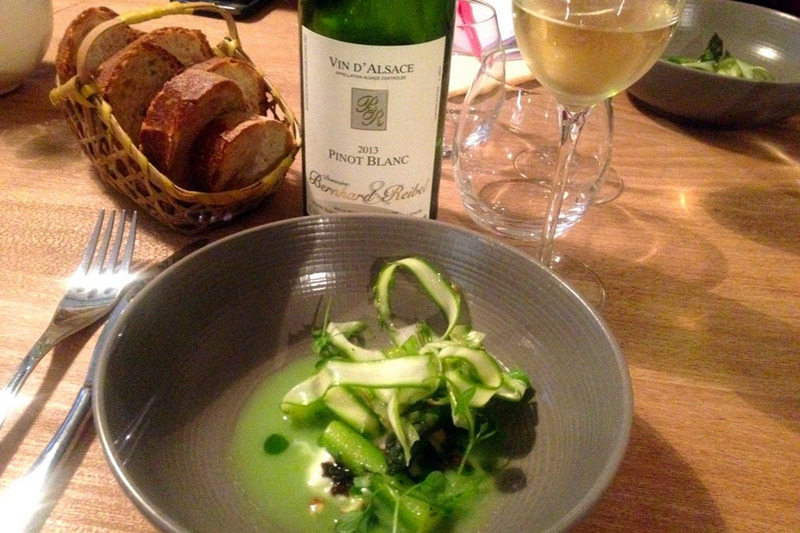 Tastings are usually led by winemaker Stéphane Dupuch at their dining room table. 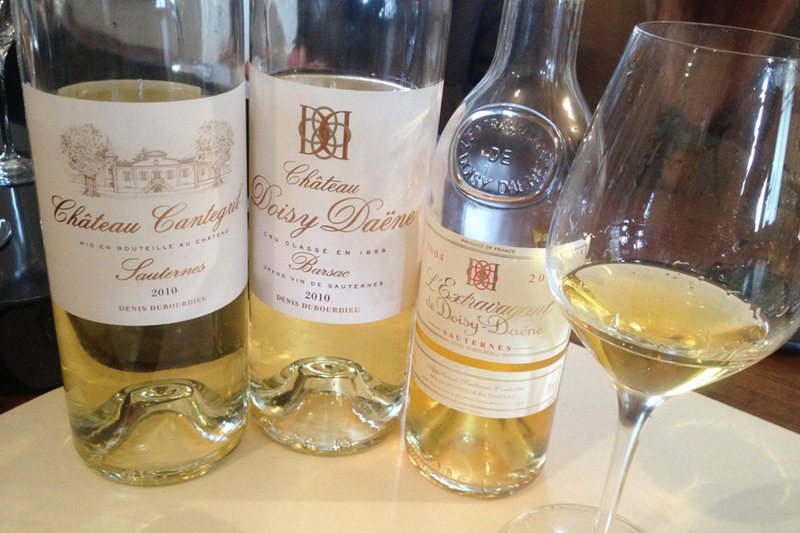 Located in Barsac, one of the sweet wine producing regions of Bordeaux, Château Doisy-Daëne have produced prestigious dessert wines since the 1920s. Have an invite to the French embassy in Washington D.C.? Their 2013 dessert wine is what you'll be sipping on after the meal. 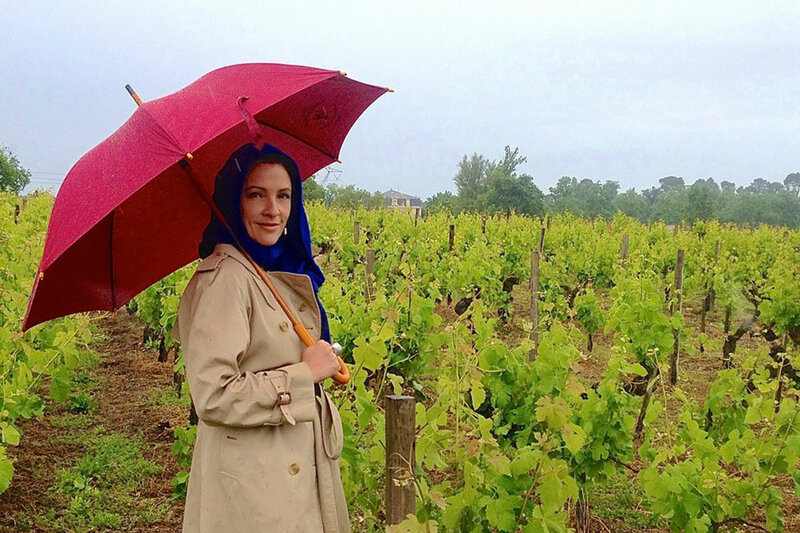 The author visiting one of the many vineyards. They have their own in-house chef and can cater for small intimate groups in the château or larger groups in their reception room. The in-house chef works closely with the restaurants owned by the same family: Le Taillevent in Paris and Les Crayeres in Reims. Dinner is served in an ornate vaulted kitchen. Guests can also stay in the château — a rare offering in France. Timing is everything. Weeks or months to avoid when most wineries are closed include January, when it's cold and many are in blending season; the first week of April, when wineries see only wine industry or VIP clients; and August, when the entire country goes on holiday. Due to the pleasant weather, May and June are ideal months to visit. 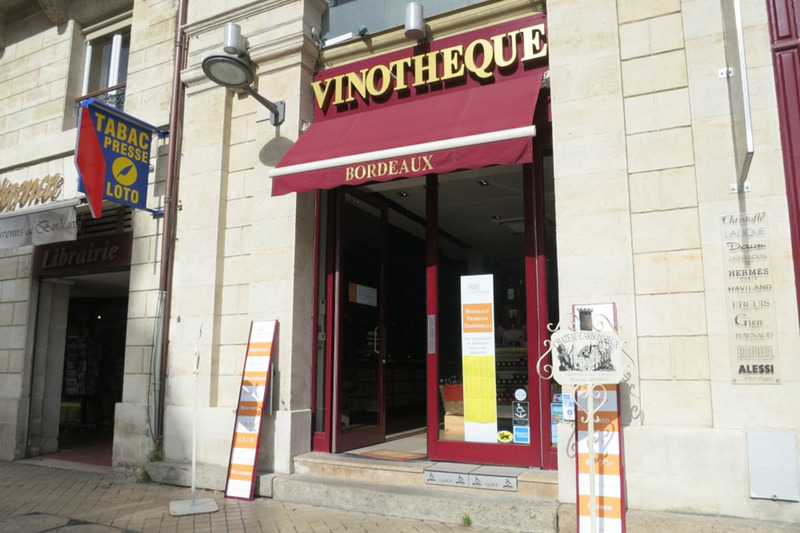 Wine shop dispenses bottles through an ATM-like device. The city of Bordeaux is home to two different wine education facilities designed for both beginners and connoisseurs. Because the appellation d'origine controlee (AOC) — French wine designation based on the concept of terrior — is pretty complex, I highly recommend taking a class before heading out to the vineyards. And what's not to love about a lesson that includes wine tasting? They offer everything from two-hour intro classes to two-day intensive classes. If you're short on time, stop in for an hour-long class or bespoke tasting via the enomatic (like wine ATMs) dispensers. Afternoon tea at Orangerie in the Grand Hotel. A hipster version of a classic French brasserie, this buzzing restaurant offers incredible oysters and exceptional quality meat from local farms. If you don't like staring at fresh cuts of meat dangling in a glass-cased fridge while you dine, don't sit in the restaurant's lower level. A short walk from the square in the old town of Bordeaux located in an alley, Le Petit Commerce is a casual bistro to slurp down oysters or tuck into mussels paired with a beer or decent table wine. It's popular with locals and tourists alike, so go early (before 8 p.m.) if you want to nab a table. Or try their second, higher-end restaurant with the same name across the street. What do you get when you mix four young chefs (two couples) from four different parts of the world (Israel, Japan, New Caledonia, and Vietnam)? A ridiculously delicious, spectacularly presented, gourmet globetrotting meal. At this modern, cubbyhole-sized eatery, reservations are key. As the city's only craft cocktail bar, L'Alchimiste offers a respite for the fermented grape-weary palate (if that's possible). 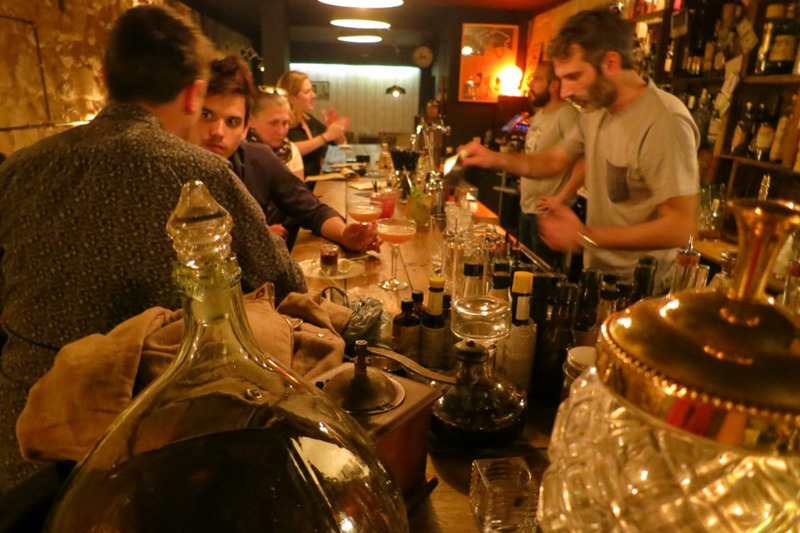 Owned by two Parisian barkeeps, Clement Sargeni and Roman Bruxer, the bar is on par with any New York City or London haunt specializing in molecular mixology and original sips utilizing quality spirits. 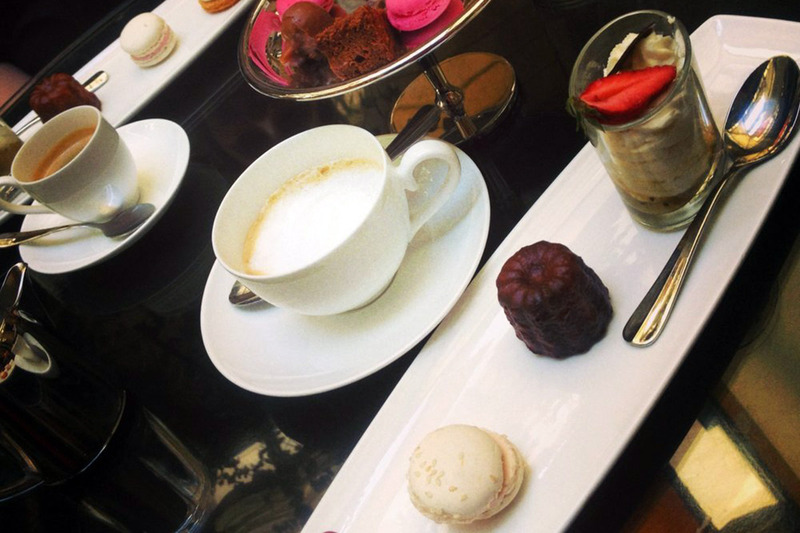 Ideal for a midday pick-me-up, the hotel's Orangerie, outfitted in lovely, lime green velvet chairs and glass roof, serves complimentary petits fours with your coffee and high tea every afternoon. If you stay at hotels like The Standard, this is for you. It's playfully hip with an extensive (and delicious!) continental breakfast. However, it's located a five-minute tram ride outside the city's historic center. If you like historic hotels with sophistication and soul, stay here. 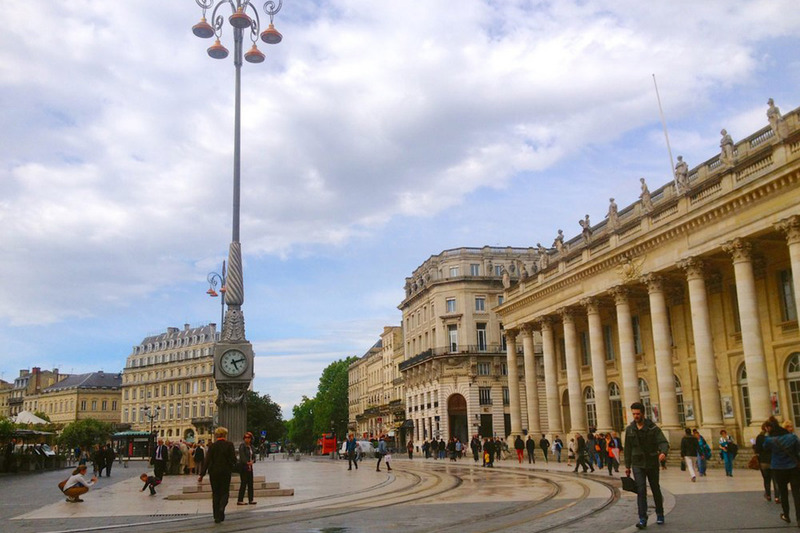 Its central location in the heart of Bordeaux's old town can't be beat.